carmeno0000 The product has a good price and I am checking that this coupon works as described. 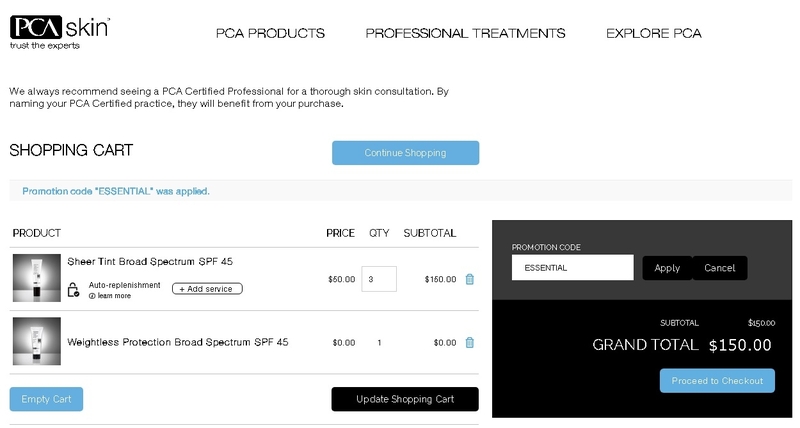 Good offer, add in the cart the items to buy, enter the promotional code and get Free Weightless Protection Broad Spectrum SPF 45 With Orders Over $125 at PCA Skin. maria martinez garcia I am re-activating this expired deal. Simply enter the code during the checkout process to "Get Free Weightless Protection Broad Spectrum SPF 45 With Orders Over $125 at PCA Skin (Site-wide)". Liliana Gonzalez This is an amazing offer. Just place the items you like in your shopping cart. Enter the promo code to get the discount. Some exclusions may apply.